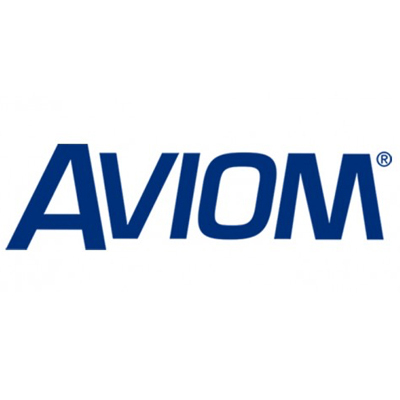 The Aviom Mix320-Y Personal Mixing System is a complete personal mixing system for six performers, designed for users of Yamaha digital mixing consoles. The Y1 A-Net Card plugs into any open MY expansion slot on your Yamaha console. There’s nothing to configure—just assign sources from the Yamaha user interface to the card’s 16 channels and they will appear on the Personal Mixer’s channel buttons. The A320 Personal Mixers get their digital data and power over the same cable, so all you need to do is connect a Cat-5 cable and you’re ready to start using the system. 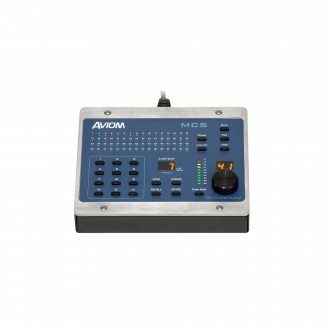 The Aviom Mix320-Y Personal Mixing System gets its inputs from a Y1 A-Net card installed in your Yamaha digital mixing console. 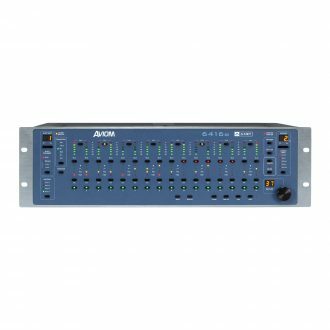 A D400 A-Net Distributor is used to supply A-Net digital data and DC power to the mixers, and the system includes six A320 Personal Mixers for the performers. 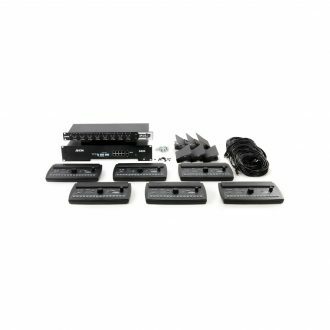 It also includes six MT-1a Mic Stand Mounts for attaching the A320 mixers to mic stands, as well as all the Cat-5e cables you’ll need to connect the products. 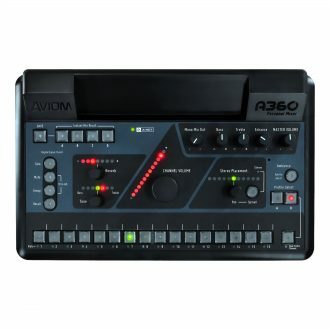 The A320 Personal Mixer gives performing and recording musicians simple, intuitive control over their monitor mixes. 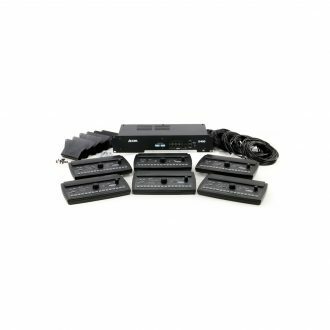 It features 16 mono or stereo mix channel buttons, individual volume controls, and easy-to-use Stereo Placement controls. Plug headphones, ear buds, or a wireless in-ear monitoring system into the Personal Mixer and you’re ready to start mixing. The Y1 A-Net Card for Yamaha allows up to 16 sources from the console to be assigned as inputs to the personal mixing system. Assign any combination of channels, direct outputs, aux sends, groups, or sub-mixes from the Yamaha console user interface to the Y1 card. 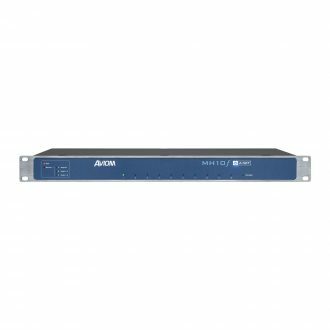 For distributing the A-Net digital data and DC power to the A320 Personal Mixers, the system includes the D400 A-Net Distributor. Just connect the console card to the distributor’s A-Net In and use the D400’s powered A-Net ports for connecting Personal Mixers. 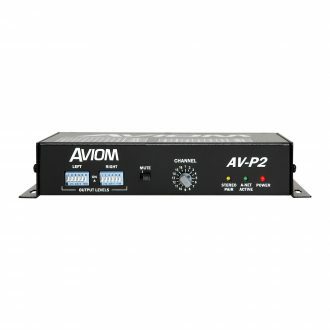 The Aviom Mix320-Y system is designed specifically for user of Yamaha digital consoles. If you have a Dante-enabled console or network, the Mix320-D Personal Mixing System is what you need. 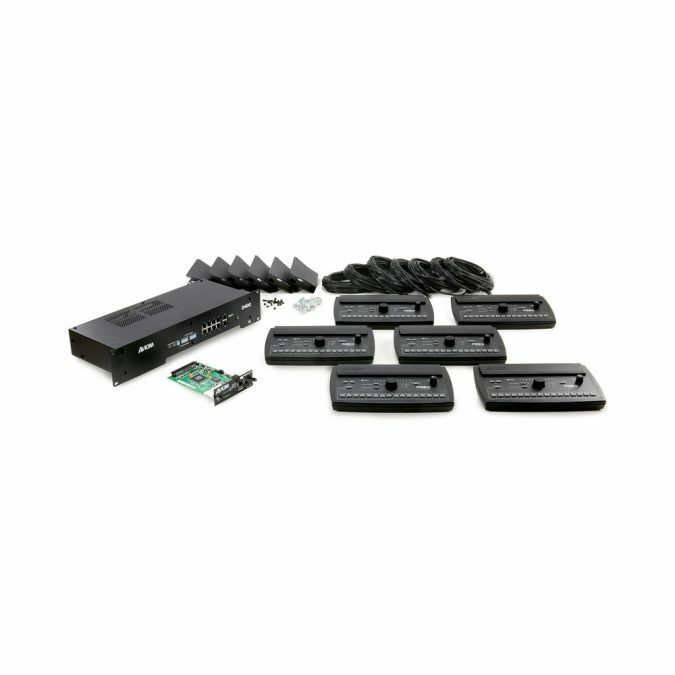 It includes the D400-Dante A-Net Distributor instead of the D400 and does not require a separate input device or console card. if you have an analog console or recording system, the Mix320-A Personal Mixing System is what you need. 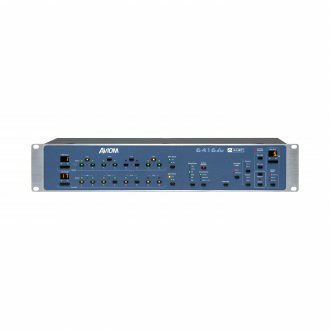 It includes the 16-channel, line-level AN-16/i Input Module as its front end. The mixing system packages are also easy to expand when you’re ready—just add more Personal Mixers and A-Net Distributors as needed.